Data recovery software for quick and easy recovery of deleted or formatted data. Data recovery software for quick and easy recovery of deleted or formatted data from PC, laptop or removable media. No matter if you have accidentally deleted your most beautiful pictures from your last vacation or your favorite music on your phone. Now you can bring back these beautiful memories. You can use this program to permanently delete data from PC / laptop, hard drives, USB flash drives and hard drives, memory cards, digital cameras, music players and other storage devices deleted, formatted, lost, virus attacked or other unknown causes. No data is overwritten or changed. No subscription, no running costs, no limit. 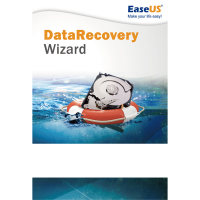 EaseUS Data Recovery Wizard for Windows offers unlimited recovery volume. Data recovery in just 3 steps. Deep scan for formatted, inaccessible or lost data. No subscription, no running costs, no limit. Instead of buying a single license for each of your workstations, you can purchase a technician license and operate your entire business without subscription or running costs. Protect your business against critical data loss. Use EaseUS Data Recovery Wizard Technician to help others to retrieve their data. The Technician license allows you to use it for an unlimited number of computers, servers and other devices. Windows® 10, 8.1, 8, 7, Vista® und XP (32- & 64 bit), Intel® or compatible CPU with 1 GHz, 1GB RAM, 130 MB free hard disk space for installation. Screen with min. 1024 × 768 pixels, Sound card, Internet connection for activating and downloading updates. Recover deleted, formatted, lost or corrupted data. Restore of all file types. Recovery of photos, documents, videos, audio, emails, zip files etc. 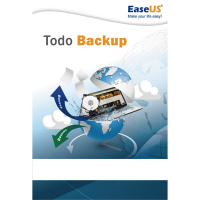 Restore data from PCs, laptops, digital devices, hard drives (HDD, SSD, USB, etc. ), data storage devices, servers, RAID etc. Restore data from deleted, hidden, lost or RAW partitions. Retrieve lost data from the lowest depths of the volume. Export and import scan results. Provide data recovery service to your customers.